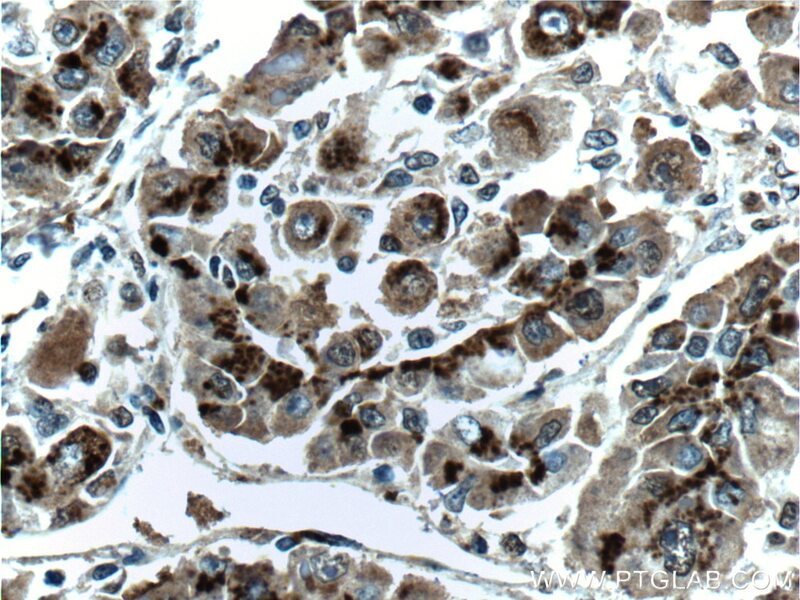 Immunohistochemical analysis of paraffin-embedded human liver cancer tissue slide using 66331-1-Ig( GP73/GOLPH2 antibody at dilution of 1:200 (under 10x lens). heat mediated antigen retrieved with Tris-EDTA buffer(pH9). 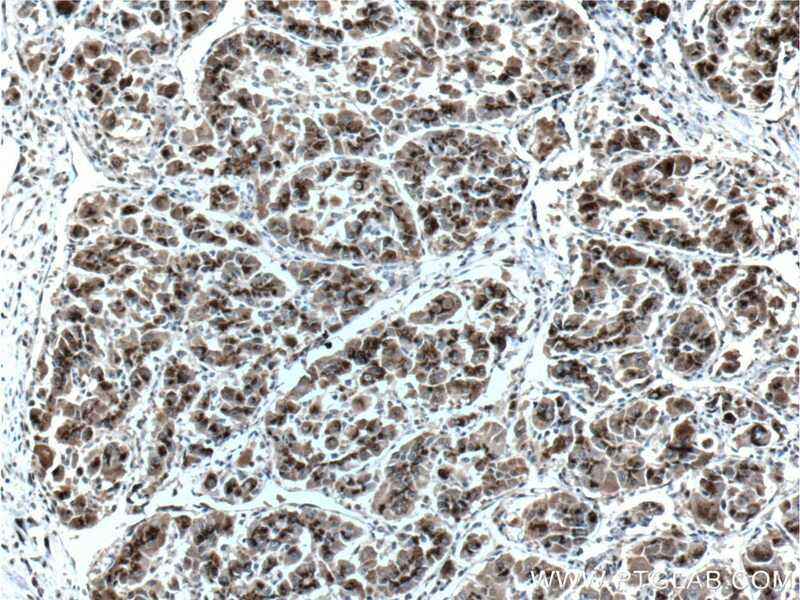 Immunohistochemical analysis of paraffin-embedded human liver cancer tissue slide using 66331-1-Ig( GP73/GOLPH2 antibody at dilution of 1:200 (under 40x lens). heat mediated antigen retrieved with Tris-EDTA buffer(pH9). 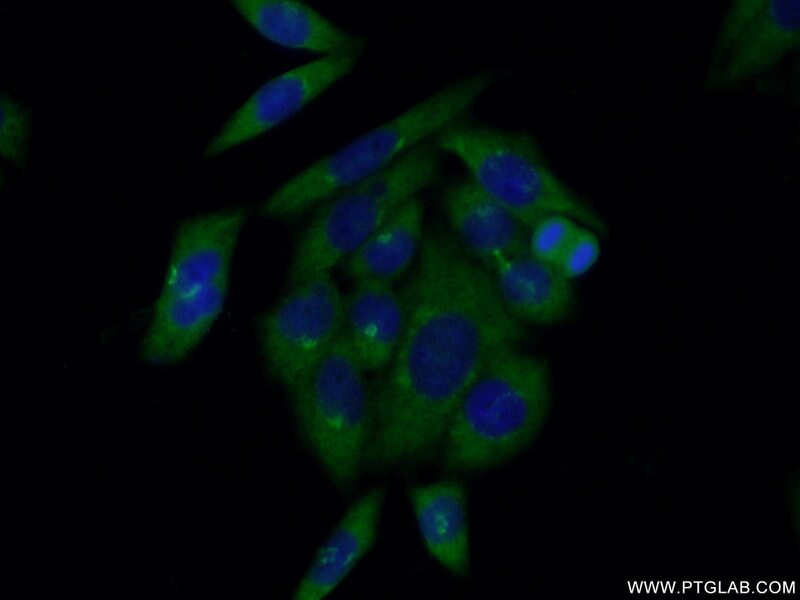 Golgi phosphoprotein 2 (GOLPH2, also known as GP73 or GOLM1) is a resident Golgi type-II membrane protein. It is predominantly expressed in the epithelial cells of many human tissues. GOLPH2 traffics through endosomes and can be secreted into the circulation. Its expression is upregulated in a number of tumors and GOLPH2 could be a promising serum marker for hepatocellular carcinoma. We got 73 kDa in western blotting due to phosphorylation.